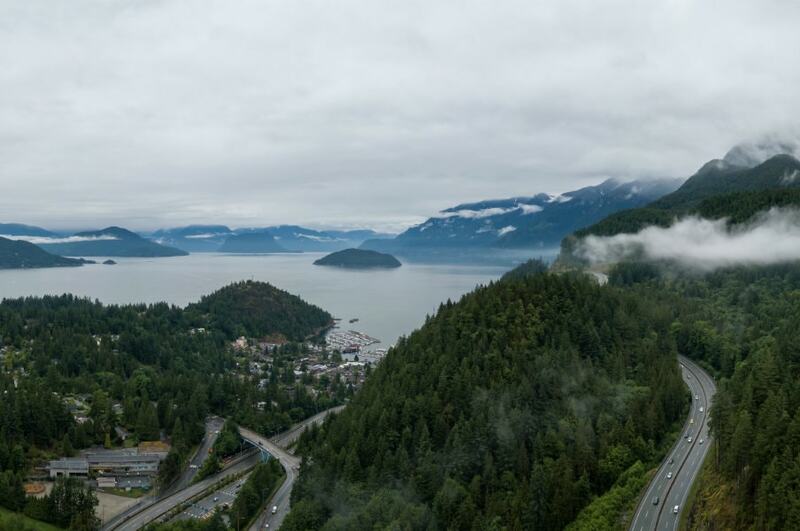 Travel along British Columbia's sparkling coastline and journey into the mountain tops along the Sea-to-Sky Highway better known as one of the most beautiful drives in the world. In just a few hours, you can experience the breathtaking ocean and mountain views with a reliable car rental. What more if you make it a five-day road trip? VroomVroomVroom shares this self-drive itinerary from Vancouver to Whistler so you can make most of your driving adventure. Before you start your journey spend a bit of time in one of Canada's most popular cities. Vancouver offers plenty of things to do no matter what you are interested in. 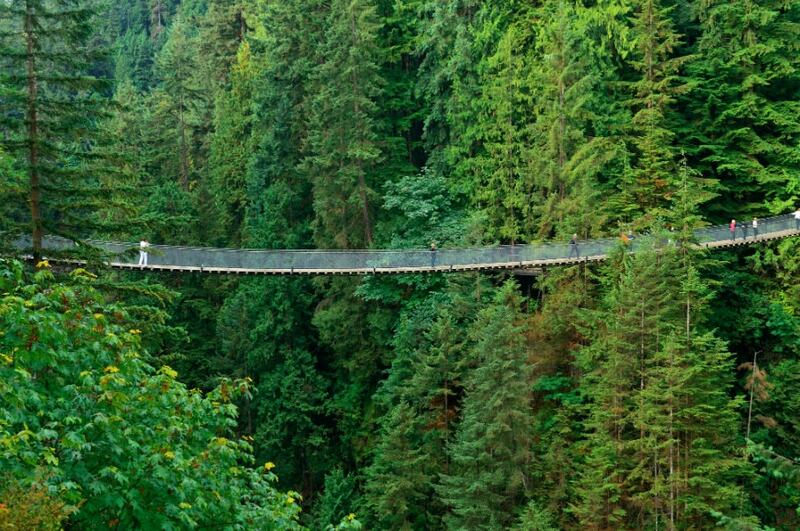 For an adventure, don't miss the Capilano Suspension Bridge, a treetops adventure for the whole family. For a more relaxing walk offering great views of the Vancouver skyline, take a wander through the city's Stanley Park. Enjoy beautiful gardens, views of the bay and historic landmarks. The large park is a great escape from the busy city and is easily accessible with a rental car. While passing through Vancouver's north shore stop in at the lovely Horseshoe Bay. Grab some fish and chips and enjoy the view of the bay, or dine in at one of the local restaurants. The bay is surrounded by mountains, making for an impressive view. You can't drive the Sea to Sky Highway without stopping at Shannon Falls. There are various viewing platforms as well as scenic trails to explore the area. Shannon Falls is 335 metres high, and has become a popular spot to enjoy a picnic. The park is easy to reach, with parking just off Highway 99. Just south of the town Squamish you will have the opportunity to take a thrilling ride to the top of the mountain on the Sea to Sky Gondola. In just ten minutes you can enjoy spectacular views of Howe Sound and the surrounding mountains. Cross the Sky Pilot Suspension Bridge for more great views. There are plenty of hiking trails in the area so you can explore. The Summit Lodge offers a great place to enjoy a meal with a great view. During the summer months, you can also take a guided cultural walk. Just 20 minutes north of Squamish is the beautiful Brandywine Falls. A viewing platform allows you to enjoy the 66-metre-high falls. The trail from the carpark to the falls is an easy, short distance, and the boardwalk offers many great views of the falls. Follow the Brandywine Gorge Trail and explore more of the gorge and creek. Take some time to experience Whistler and explore some of the many scenic hiking trails in the area. You can enjoy ziplining, white-water rafting, horse-back riding and cycling in a beautiful, alpine location. For a thrilling ride, take the Peak to Peak Gondola from the Roundhouse Lodge on Whistler Mountain to Blackcomb Mountain. The journey will provide unforgettable views of the valley below and the surrounding mountain ranges. Head inland from Whistler toward Kamloops in central British Columbia. Break up the journey with a few scenic stops along the way. There are some scenic walking trails in Nairn Falls, and for anyone interested in history the small town of Lillooet is a worthwhile stop. 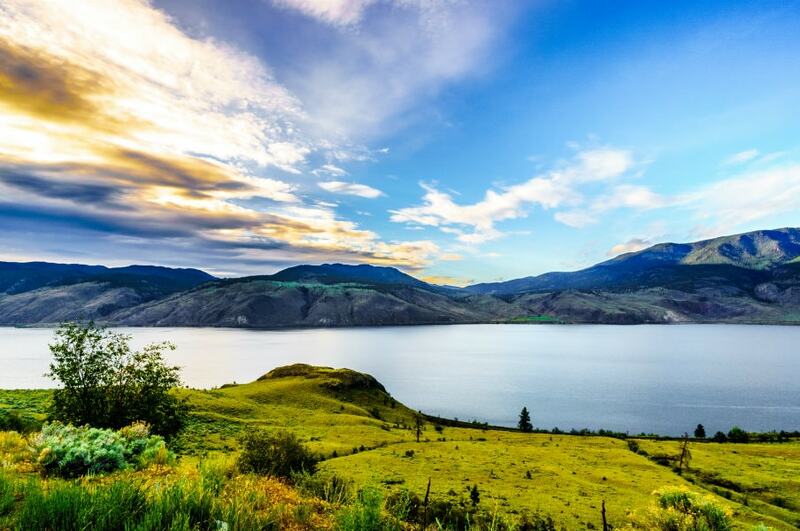 Explore the unique city of Kamloops, a city built around its abundant lakes. While water sports are popular in summer, during the winter the region becomes a popular spot for cross-country skiing. If you are a lover of wine, there are a few breweries in the area that are well-worth a visit. While driving along the Coquihalla Highway you will be treated to some beautiful mountain scenery. Just north of the town Hope, pull in at Coquihalla Canyon Provincial Park. The Othello Tunnels are a unique sight, part of the Kettle Valley Railway and carved through a granite wall. The area is a great place to enjoy a short hike. 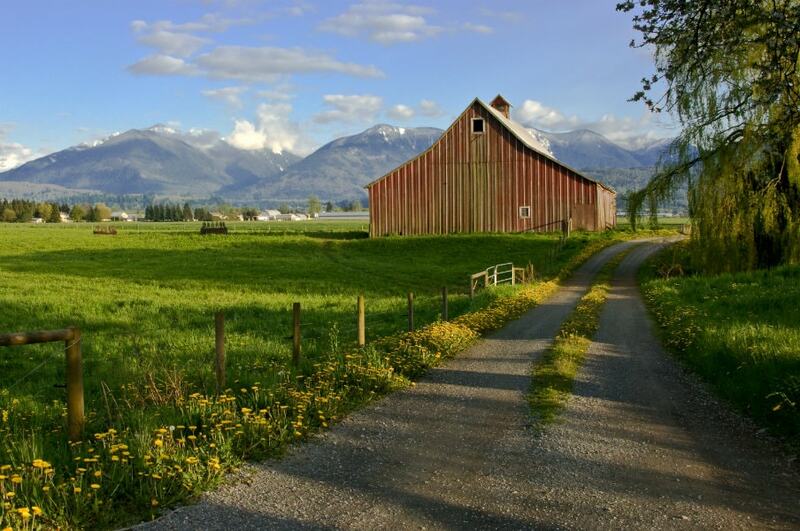 You'll find the best in agriculture in the scenic Fraser Valley. A number of local restaurants and cafes boast fresh produce from the area, and travellers can also visit a number of wineries in the valley. 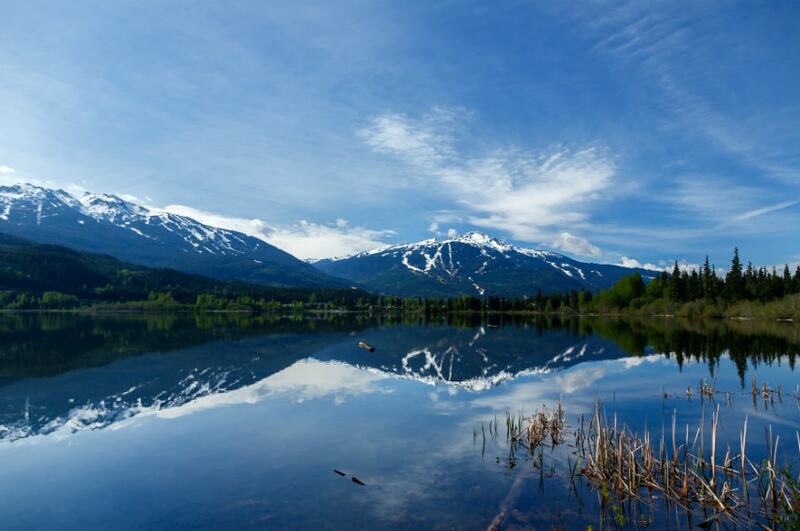 Stay the night in Chilliwack, a town offering plenty of outdoor experiences. Cultus Lake is a highlight, located just outside the town.